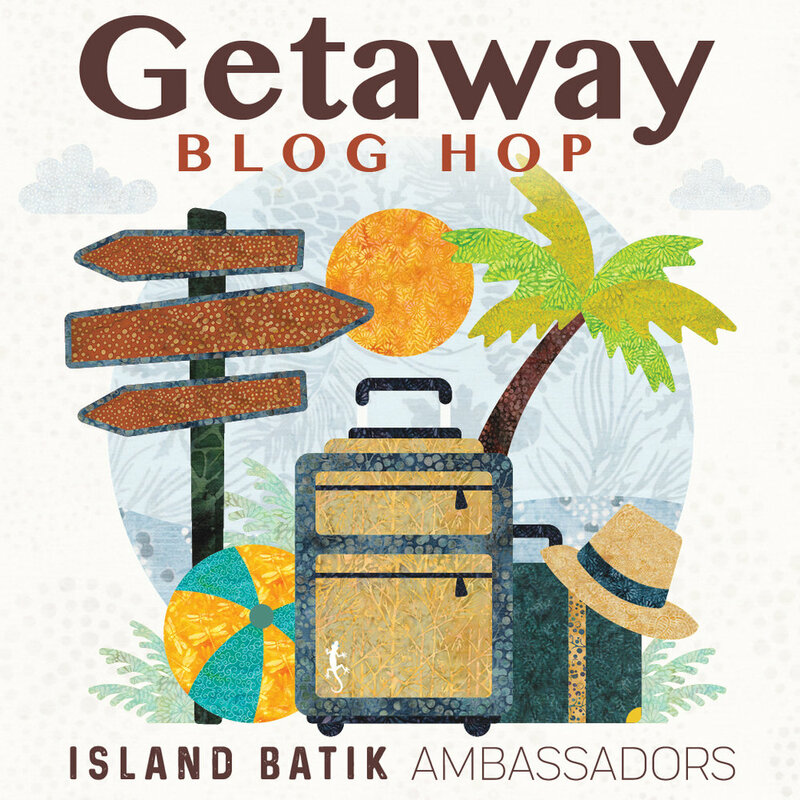 Who knew creating a WINTER GETAWAY quilt for the Island Batik January 2019 Getaway Blog Hop would reflect the weather so completely? As this blog is written, schools are cancelling for the fifth consecutive day, businesses including our post office are closing early, blizzard conditions and sub zero temps impact our area. Fortunately, most of winter can still be an enjoyable WINTER GETAWAY. 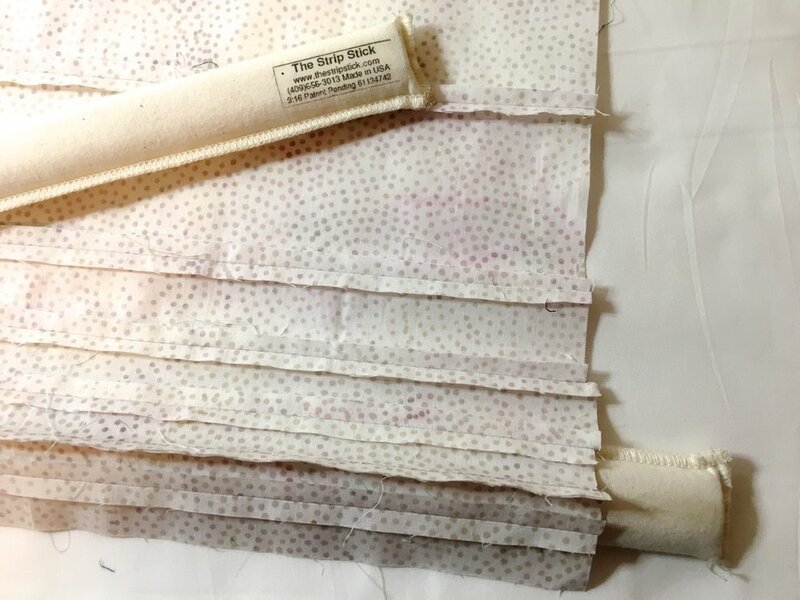 Here’s the Snow Berry Collection, some sketches to help with planning, the order of use and an each strip cut the width of fabric plus each strip cut again at half the width of fabric. 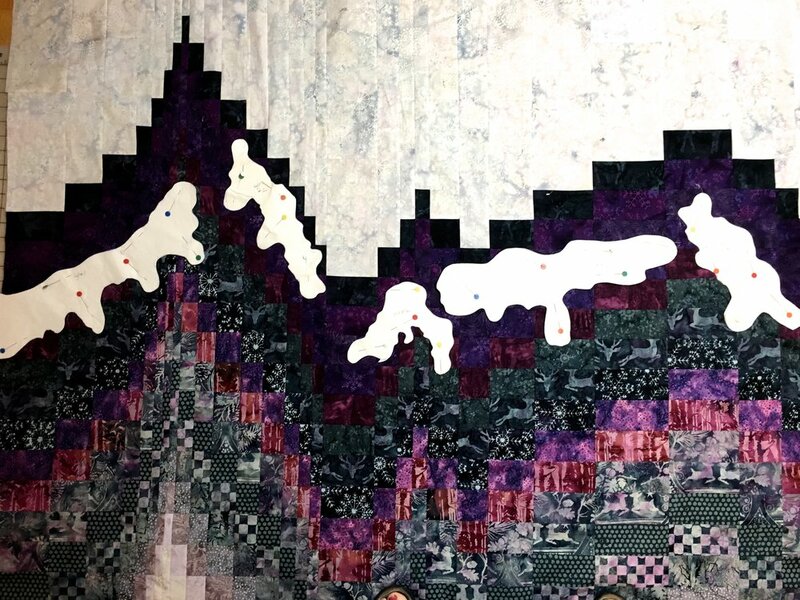 Winter Getaway quilt continues with cutting Bargello columns and arranging into desired mountain shapes. Additional sky and foreground fabrics need to be added. Note to self...plan better to avoid ever needing to do this again! 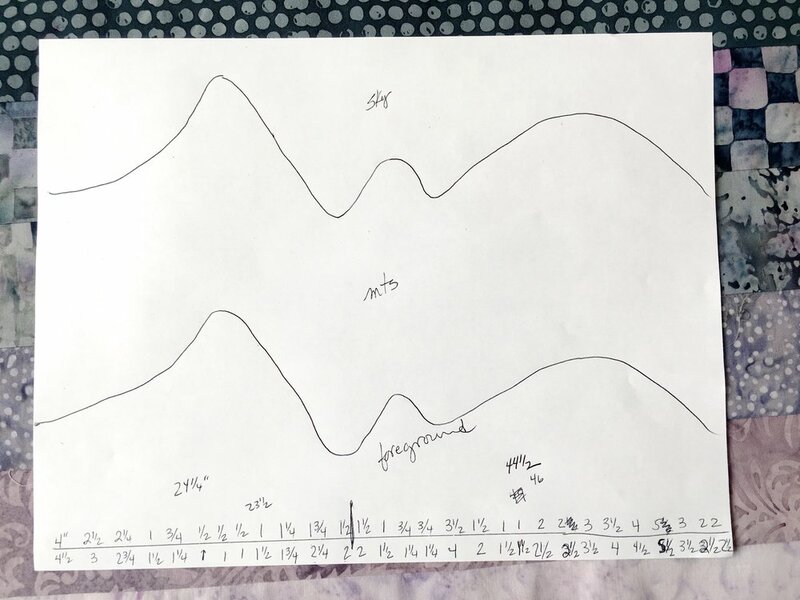 The math calculations added time and frustration. The 1/2 yard array of each color was extremely generous but challenging for the top and bottom. Columns are carefully stitched together, matching each cross seam. Column seams are pressed open to eliminate bulk under applique added in next step. The Strip Stick helps open seams without distorting previously pressed seams. Details are developing with the addition of a pond in the foreground, trees, winter sports and some critters. Trees and wildlife are fussy cut from Island Batik Snowberry. Snow boarder & skater are sketched on freezer paper then cut out. All are applied using raw edge applique with Misty Fuse. Snow caps are a layer of Island Batik Sprinkle bonded to Island Batik white then machine appliqued to smooth the rough edges of mountains. This double layer of fabric prevents the darker colors from showing through. 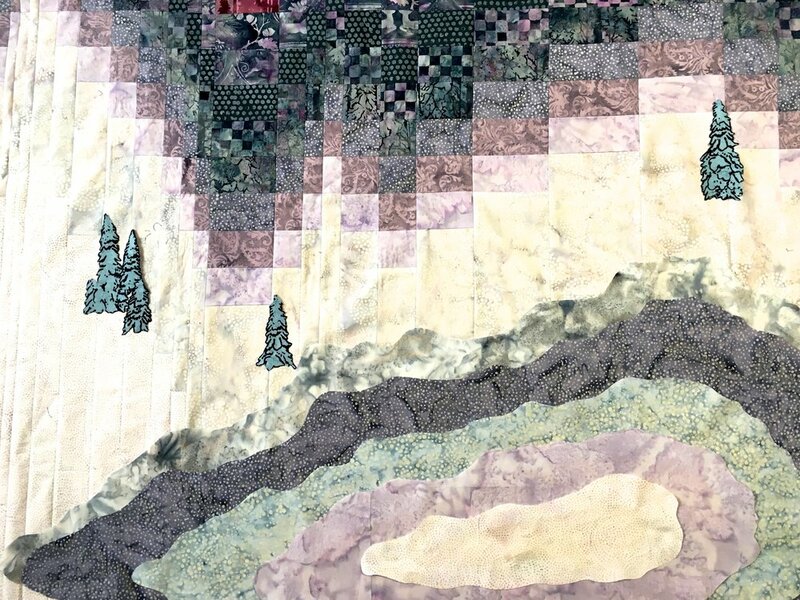 Snow caps and frozen pond are machine stitched with a blanket stitch. The setting on my Viking Sapphire 830. It's off to the Avante Handi Quilter for free motion quilting to simulate the twinkling sky, snow capped mountains, evergreen trees and an ice skating pond. Hobbs Heirloom 80/20 Batting is used in this quilt.